Planning for a new arrival? We all know how tight money can be with little ones on the way. So why not get great deals on a wide range of prams, pushchairs, baby equipment, nursery furniture and more with a Babys Mart discount code? Whether you just need a few odds and ends or you're starting from scratch, a Babys Mart voucher code is a great way to get everything you need without breaking the bank. 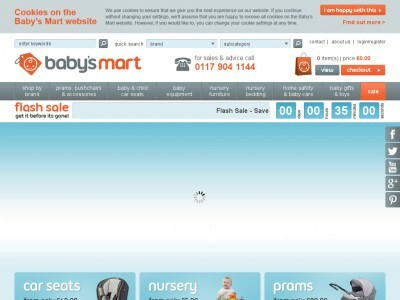 Founded in 2001, Babys Mart is one of the oldest online baby stores in the UK. Benefiting from their parent company's 30 years' of experience in the nursery industry, Babys Mart was established to provide new parents and parents-to-be with an easy, accessible online destination where they can purchase everything they need for their new arrival. Babys Mart is a part of The Baby Group Limited, an independent family-run nursery business of two generations working together to provide excellent customer service and traditional retail value. Understanding the financial pressures that many new parents find themselves under, they aim to offer quality products at great prices to help you get everything ready for your new baby. Based in the South West of England, Babys Mart is run by a small team of dedicated and trained staff who are always on hand to answer any questions you might have about the right baby equipment or accessories for you. So whether you're trying to choose the right car seat or pick out the perfect pram, their impartial advice will help you make the right decision for your baby. At the comprehensive Babys Mart website, customers can browse a wide range of products sourced only from leading, quality brands beloved by parents around the world. From baby equipment like high chairs, Moses baskets and changing stations to safety essentials such as baby gates and bed guards, you'll find a huge choice of products from famous brands like Silver Cross, Britax, Kiddy, Joolz, Maxi Cosi, Quinny, Cosatto, Hauck and Baby Style. Looking to kit out your new nursery? 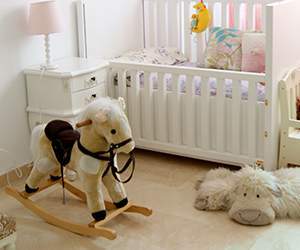 Babys Mart also stocks a fantastic selection of nursery furniture from names like Kidsmill, Europe Baby, KUB and Silver Cross. 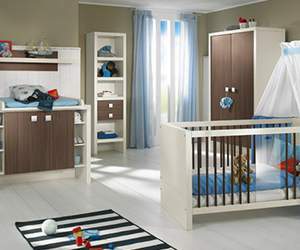 You can buy everything from beautiful wood-built cribs and cots to wardrobes, dressers and changers specially designed with baby's nursery in mind. What's more, they operate a dedicated in-house repairs service – so if any of your goods need attention, they can provide you with the most complete and thorough service possible. Want to get shopping with Babys Mart? With a Babys Mart discount code you can make fantastic savings on their extensive range of baby products and accessories. So whether you're getting ready to extend your family or you've got your first child on the way, a Babys Mart promo code is a great way to save up the pennies. Browse our website until you find a Babys Mart discount code that suits you, then navigate to their website to begin shopping. Enter your Babys Mart voucher code in the box provided and click 'Apply'. If you've enjoyed shopping at Babys Mart, you might also like to check out more great deals at similar stores like Babys R Us and Mothercare. Or, if those aren't right for you, you'll find plenty more stores to browse in our Baby, Kids and Toys section. couporando.co.uk is the best website with valid Amazon UK coupons. If you haven't found any coupon of interest, you can always check Baby, Kids & Toys category to find shops similar to Baby & Co . Enter your Babys Mart discount code in the box provided and click 'Apply'. Enter your details and click 'Place order' to complete your purchase. Standard UK delivery is free on orders over £49.99. On orders under £49.99, a delivery charge of £4.99 applies. If you need to return a product for any reason to Babys Mart, you can do so by contacting the returns department on returns@babys-mart.co.uk. Need to contact the team at Babys Mart? Whether you have a question about your order, want some expert advice on choosing the right baby equipment or simply want to find out how you could make big savings with a Babys Mart promotional code, you can contact the Customer Services department by telephoning 0117 904 1144. Want to find out more about what's happening at Babys Mart? Why not follow the company across your favourite social media networks? You'll find lots of exclusive content including competitions, promotions, nursery ideas and much more. You can also use these channels to find out more about saving money with Babys Mart voucher codes. Don’t forget to check them regularly, as you can never be sure when a free Babys Mart voucher code might be waiting for you! Buy now online at www.babys-mart.co.uk. When our first baby was born, we were really tight for money and worried about getting everything we needed. Thanks to the Babys Mart discount code I found online, we didn't have to spend a fortune. I used a Babys Mart voucher code to get a great deal on a new pram and crib – I just visited babys-mart.co.uk and entered my Babys Mart promo code at the checkout for money off the final bill. So if you're struggling to make ends meet with a new arrival on the way, see what you could save with a Babys Mart promotional code.